A little live music can turn an ordinary dinner into a memorable experience. The area's top musicians take center stage at some of Bucks County's best restaurants, bringing live music to guests nearly every night of the week. Make your Bucks County dinner date extra special by checking out one of these live music hot spots. The Xcite Center at Parx Casino is bringing big names to Bucks County! The venue opened in 2018 with a performance from the band Chicago. Rascal Flatts, Reba McEntire and many more are set to grace the stage. Buy your tickets early, shows sell out fast! Every Friday night is Classical Guitar Night at Langhorne&apos;s Bella Tori at the Mansion. Guests are invited to bring their own bottle of wine while they enjoy music from Bach to the Beatles by local musician Robert Schulze. Bowman&apos;s Tavern, located outside New Hope, has live music from jazz and blues to piano, that is the perfect complement to their hearty, yet elegant meals. Come out to the Brick Tavern in Quakertown for live music every Thursday and Friday night, featuring virtuoso piano and guitar performances with outstanding vocals. The soothing sounds of an acoustic guitar can be heard every weekend at the Continental Tavern in Yardley. The Dog & Bull’s entertainment calendar is sure to peak your interest since there are performances lined up for almost every day of the week! 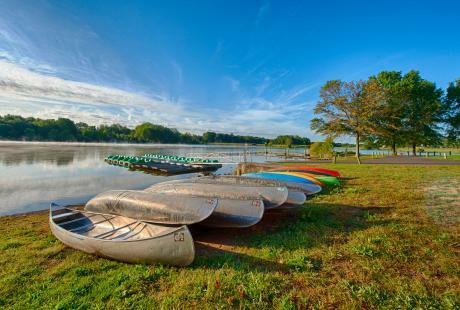 Check out performers from all around the country at this Bucks County venue. 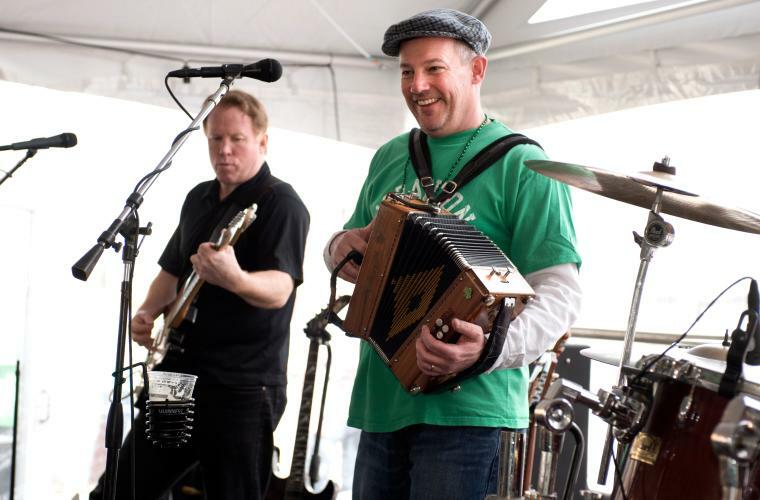 Even though St. Patrick’s Day only comes once a year, The Dubliner on the Delaware in New Hope celebrates all year long with delicious food, cold brews and Irish music and dance! Fondly known as the E-House, The Eddington House Family Restaurant & Sports Bar is a great place to catch local band performances. 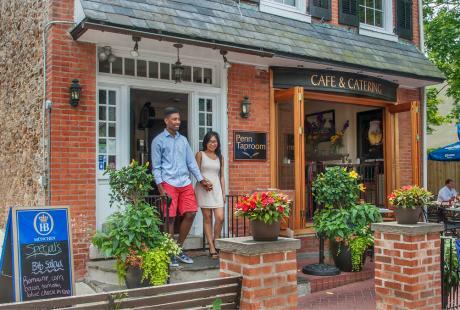 Enjoy a casual evening out just like the Bensalem locals do! Join Newtown&apos;s Green Parrot Restaurant to hear some great music events! Fridays you can dance all night to your favorite songs with the help of a DJ, or come on Saturdays to listen to live performances from amazing bands. 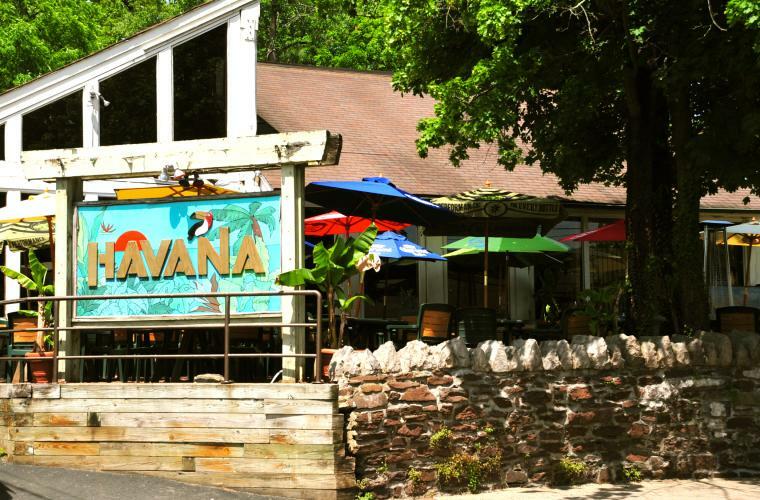 Experience some of the area&apos;s best tribute bands performing live at the Havana Restaurant and Bar in New Hope every Friday and Saturday! Hear some of history&apos;s most legendary music from these talented musicians. La Cena Ristorante in Bensalem brings some of the area&apos;s finest musicians to its stage five nights a week, every Tuesday through Saturday. Be sure to sway your way through the musical genres from jazz to pop and dance! You don&apos;t want to miss out on tapping your foot to the music of talented artists like Reta Bieber. Head over to McCoole&apos;s at the Historic Red Lion Inn on Fridays and Saturdays to listen to what you&apos;ve been missing! Cover bands, DJ&apos;s, and monthly acoustic sets are all part of M.O.M.’s – Maxwell’s on Main’s entertainment series in Doylestown. They also host the Cocktail & Vinyl Club on Wednesday nights where vinyl listening parties meet prohibition-style cocktails to create a unique, throwback experience. One of New Hope&apos;s premier LGBT destinations, The Raven features live musical entertainment four nights a week including show tunes and standards by Russell Eiffert every Thursday and Saturday. Salsa your way into Latin Night every third Friday of the month! 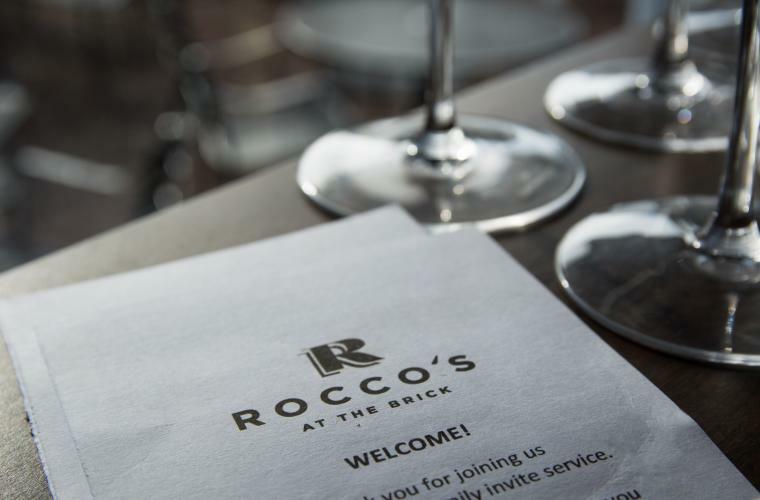 Newly renovated in 2018, Newtown’s Rocco’s at The Brick is rocking live music seven nights a week. Listen to tunes played on the piano while enjoying happy hour specials. 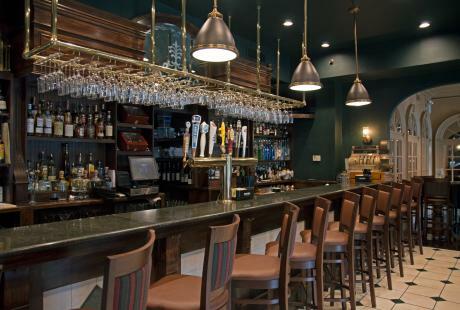 Then satisfy your cravings while digging into the bar’s carving station. From Broadway stars to rhythm & roots musicians, The Rrazz Room is returning to its original home in New Hope. 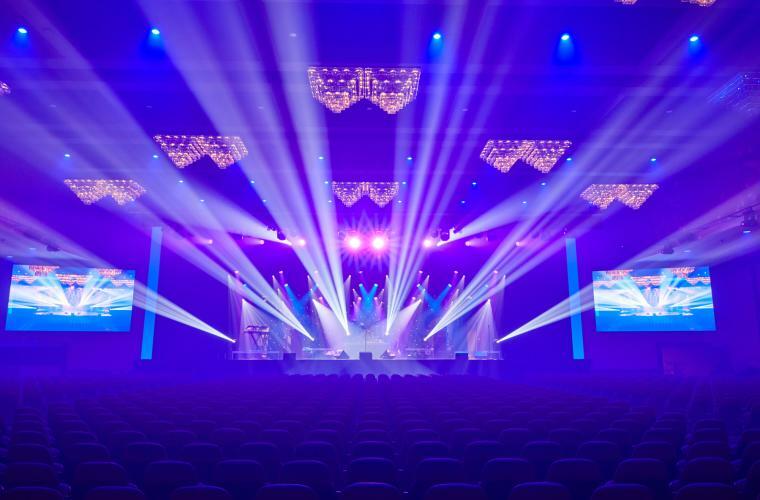 The venue offers a little bit of everything and is sure to have a performance and event that catches your interest! 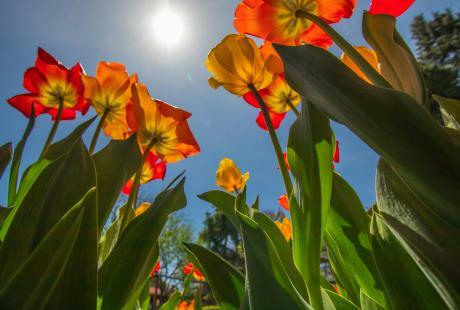 Come visit Shady Brook Farm for the Summer Wine Concert Series every Friday. Listen to live local bands on the patio while tasting Rose Bank Winery&apos;s finest choices. Don&apos;t forget to bring the kids so they can join the fun along the playground! Catch a live performance at the Spinnerstown Hotel by acoustic guitarist Craig Thatcher, performing regularly in the Hotel&apos;s Tap Room. Sip on some of the greatest beers on tap while you listen to this local crowd-pleaser! 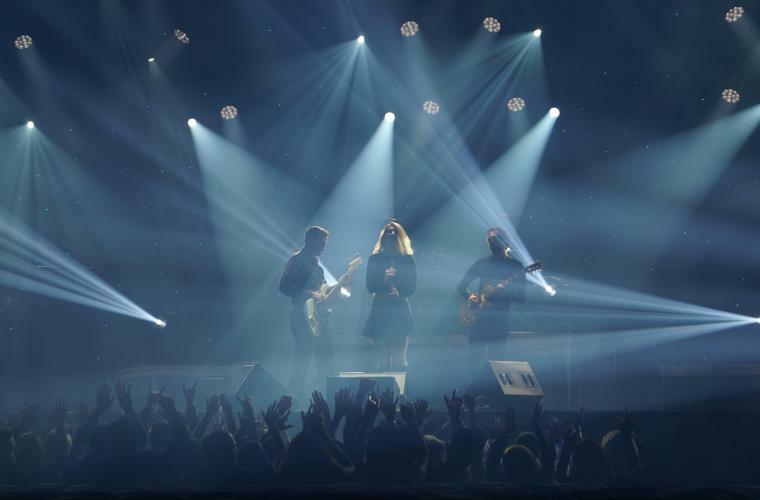 If you&apos;re in Point Pleasant, check out who&apos;s playing at The Local, which showcases the delicious food and rural charm you would come to expect given the location. Housed in a bank from the 1800s, Vault Brewing Company is home to some great Bucks County brews and some thematic entertainment. Jazz performances are scheduled every Friday and Saturday night without a cover charge. 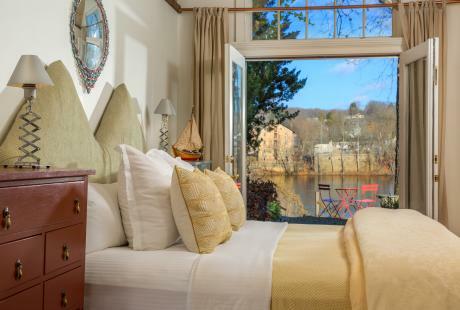 Located at the doorstep of history, the Washington Crossing Inn serves exceptional food every day with live music every Friday and Saturday night, including exceptional two hand guitar nights. Most Tuesday nights, the Washington House in Sellersville is jamming to live bluegrass or jazz music in the bar area. 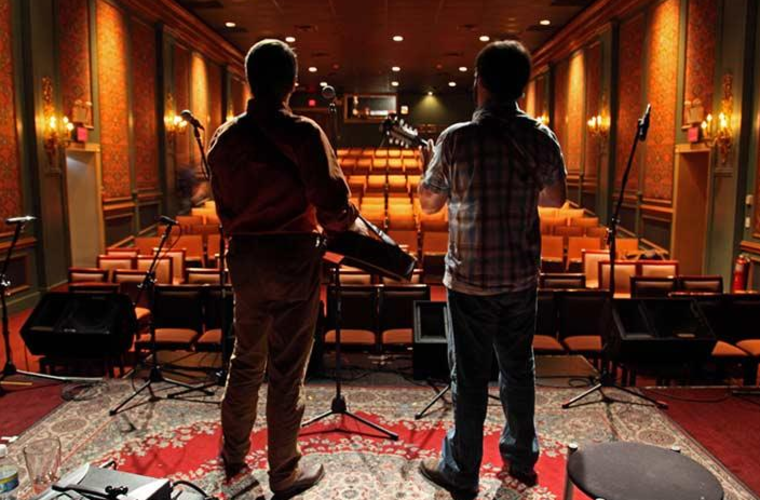 After your meal, catch a live performance from some of the best musicians in the country at the neighboring Sellersville Theater. In conjunction with a newly improved space, the Water Wheel Tavern is rolling out the red carpet for live entertainment on Friday and Saturday evenings. All music is provided by Bob Egan Entertainment, and they’re playing everything from the 50s to today!